Characters Based on Real People? As a writer, I figure anything I experience will probably come out in some story somewhere. It’s no different for the people I’ve interacted with. Usually my characters come from bits and pieces of people I know (or know of), lightly tossed, and served with house dressing. Okay, there’s not any actual dressing, but none of the final characters are recognizable as anyone else. Many of my characters are amalgams of numerous people. Ethan, from Living Again, is based on children I’ve worked with over the years. One student had the same medical problems, another had the amputations. Both had Ethan’s vibrant love of life and ‘wide open’ energy. CJ in Ray of Sunlight was also modeled on several students (all of whom died). Stevie, from What No One Else Can Hear, was modeled on an Autistic boy by the same name who was a resident of the Autism Center on which the residential facility in the book was modeled. He was also almost my son, even though he’s only seven years my junior. (That’s another story altogether, and I can almost guarantee it’s nothing that you’re thinking. It wasn’t a matter of a blended family. <grin>) Of course, the Stevie I knew was not an empath. Also, he wasn’t on quite as high a level of functioning as the one in the book. Then there are the people who inspire the ‘bad guys’ in my stories. I worked with severely homophobic people for several years (one worked in the same classroom as I did for three years). Many of my homophobic characters are based on them. I find I have to tone them down…a LOT…to be believable as characters, and even then some are still pretty extreme. Again, none of the characters are recognizable as anyone in particular, but usually the things they say are things I hear people around here say all the time. Commenters: Writers, are your characters based on people you know? Readers, what is your opinion about basing characters on people authors know (as long as they are not recognizable as specific people)? Comment to win. This entry was posted in For Your Reading Pleasure and tagged Brynn Stein, Dreamspinner Press, Guest Author, MM Romance by Charley Descoteaux. Bookmark the permalink. This book looks incredible! I can’t wait until it’s released! Thanks so much for hosting me, Charley. 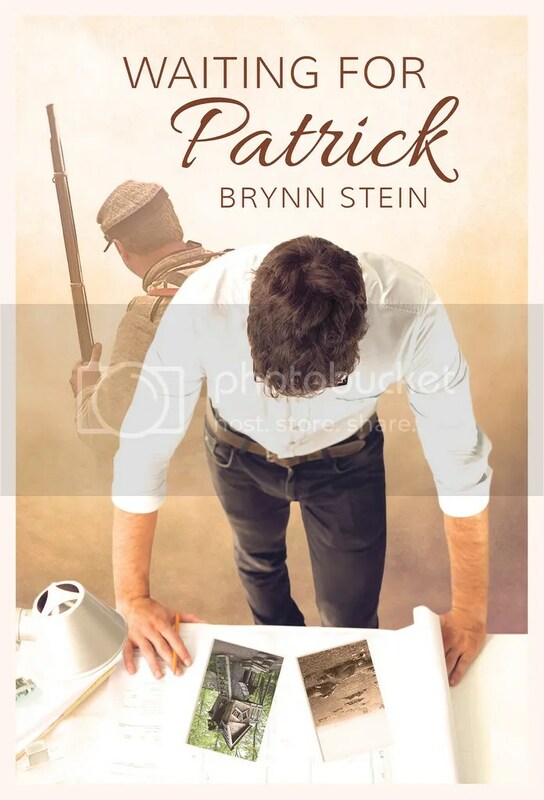 I’m a big fan of your work, Ray of Sunlight was a very special book that made me cry, so I will def buy Waiting for Patrick, thanks for the heads up.